Why Italians like Movimento Cinque Stelle? In Italy, there is a man, Mario Abbruzzese, former president of the Regional Council of Lazio, a public administrator who has spent 18,660 euro to buy 67 Montblanc pens for 278 euro each, 21,408 euro for 100 Christmas baskets, € 76,791 spent on “plannig copybooks”, 10,560 euro in greeting cards, for a total of expenses for over € 1,987,092. Needless to say, Mario Abbruzzese was re-elected, always in the lists of the PDL in the territory of Cassino, where goods for many millions euro were seized to the Casalesi Camorra Clan, which were implemented the first bridgeheads in the South Lazio, since 30 years ago. Talking on PdL and his politicians in that territory, a request of arrest is coming for Nicola Cosentino, accused of collusion with the mafia over alleged links with the Casalesi Camorra clan. 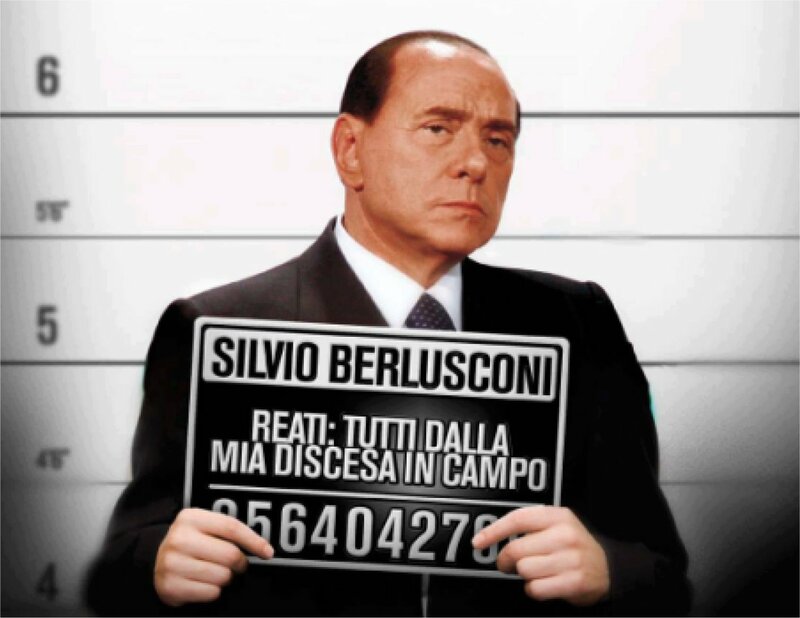 Serious facts, those of the Berlusconi’s Party, if we consider, however, the Democratic Party is clucking evil, to read of the many scandals and processes that involve its politicians and administrators, if we notice, above all, that this party is the chief architect of the various laws that have given way the plunder of Italian finances by the parties, as were his vows that allowed Berlusconi government to ‘sink the shot’ in the last decade. A breach, created in the 1993, when Italian citizens voted against the financing of parties, with the introduction of “reimbursements for election expenses” (besides often not carried out). In 2002, the Berlusconi government rise the sum to 5 euro and, in 2006, extended for five years the electoral reimbursements. A law that, with the with the premature drop of the Prodi’s government, allowed some extinct Italian parties to receive public money until to 2011 and all the parties in Parliament to cash ‘double’ reimbursements for three years for an amount of half billion of euros. Almost more than 3,000 buildings and more than 500 plots with cadastral income, agricultural and dominical for about € 2.8 million, with a tax year value of about 500 million euro. “Much is still headed to the Democratic Party of the Left and its territorial structures (base units, regional federations, municipal and territorial of various types), as well as real estate which are still owned by him. Only in the PCI-PDS- Ds-Margherita-PPI-Pd are 831 different tax codes that are holders of buildings. Among these there are certainly sections of the old Communist Party, which is still the holder of no less than 178 land and 15 buildings land. But seeing numbers of rooms and features of each property, it is unlikely that property as 12 or 14 rooms houses or offices even larger sizes to correspond to the classic sketch of the old territorial sections. What can be the maintenance and operation costs of this enormous wealth is difficult to quantify – probably hundreds of millions of euros every years – as it is also very difficult to imagine the cost of the equipment we use them. Even more difficult to understand how it was possible for a party that accumulate a so enormous wealth and how it can even manage not falling in fraud of some kind, or worse, in a conflict of interest. In two words, it is very difficult to clear if we are facing a business or a party or a strange mutant become out from the Cold War. Now, everyone can understand why the Movement Five Star refuses to support ‘the parties’ and has asked to the Democrats’ Leader, Pierluigi Bersani, a law on financing of political parties, while from the Mario Monti’s party has already arrived an – actually shy – demand for a law on trade unions. As it is really easy to understand why Italians are against their parties and why there is mistrust of Europe and Germany. It is not an anti-European sentiment. Just concern for those – Merkel, Obama, Hollande? – who would persuade us to remain in the hands of those who seek legitimacy abroad, denigrating their country – that is ours too – to justify their inability or misconduct. Their, not ours. Not of all Italians.